NEW YORK After a tough quarterfinal win this week at the U.S. Open, Chinese tennis star Li Na was asked how proud was she to become the first Chinese player, man or woman, to make the semifinals of the Open. As China’s premier tennis star, and one of the country’s wealthiest and most popular athletes of any sport, Li’s entire tennis career has been defined by firsts. Foremost among her firsts was her 2011 win at the French Open, which catapulted Li into the stratosphere of athlete endorsement deals. Other firsts include making the finals of the Australian Open in 2011 and 2013, and now the U.S. Open semifinals in 2013. But Li’s reach has gone far beyond the sport, as evidenced by her placement this year in Time magazine’s ranking of the world’s 100 most influential people. In an essay for the Time 100 list, American tennis legend Chris Evert called Li a maverick who has helped women’s tennis explode in Asia. Li is credited with inspiring interest in the sport among millions of young people in Asia, which will host eight professional women’s tournaments in 2014 - compared to just two five years ago. Fans of the game know Li for a zany sense of humor that shines through her fractured English. In post-match interviews, she regularly ribs her good-natured husband (and former coach), saying his snoring keeps her awake at nights and that she ignores his coaching advice. She’s also seen as something of a rebel for her tattoos, which include a flower on her upper left sternum. In the two years since her history-making French Open win, Li’s endorsements have swelled to an estimated $40 million - making her the third highest compensated female athlete in any sport, after Maria Sharapova and Serena Williams. This is in addition to her $11 million in career prize money to date. She is also one of China biggest celebrities, with more than 21 million followers on the Twitter-like Weibo network. In an interview with the New York Times, the chief executive of the Women’s Tennis Association, Stacey Allaster, said Li’s success has been instrumental in growing women’s tennis in Asia - and the rest of the world. Li downplays her impact on the sport in China, saying she’s just doing her job to play good tennis. “I just doing my job to play good tennis. But after these two years I feeling is not only about what I should do, you know, because sometimes if you training on the court it’s not only for the match. If you’re training, so many people watch what you do. So you really have to prepare for yourself, you know. Maybe if you say something bad or do something wrong the children, say, Oh, look, she do this. Also, I feeling this is not good for the improve tennis. 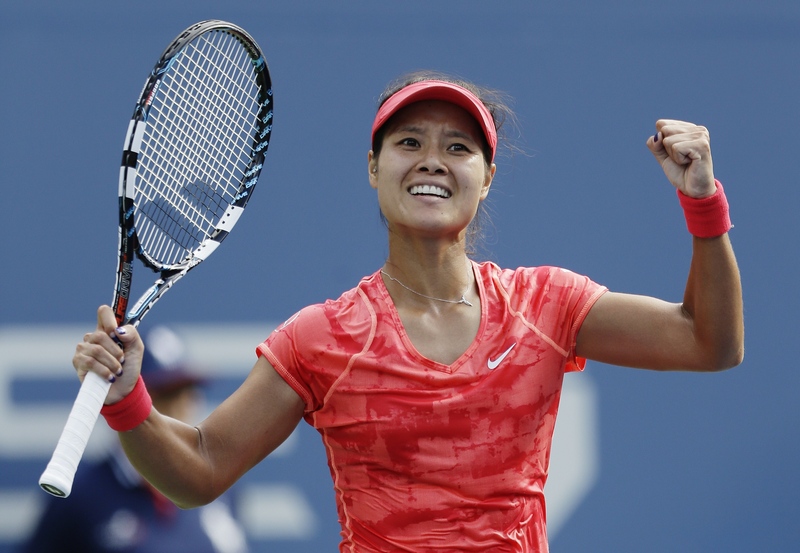 For her reward at excelling, Li now gets to face American juggernaut Serena Williams in Friday’s semifinal. Williams has been playing unparalleled tennis this week, and seems on a mission to capture her fifth U.S. Open singles title. But Li was undaunted by the prospect of playing the World No.1.